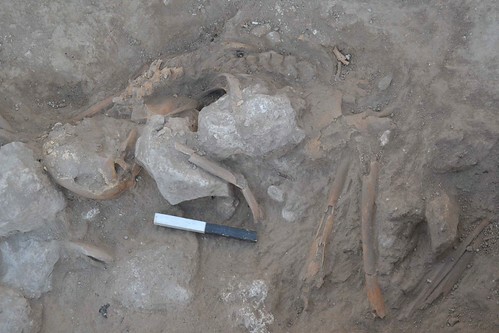 Archaeologists encountered the dramatic remains of three ancient individuals in present-day Israel — likely victims of an Egyptian pharaoh’s military campaign. The faces of disaster through the ages are legion, and the dusty places of archaeological digs in Israel have been no exception, as archaeologists at the Tel Gezer excavation site in central Israel will tell you after they encountered 3,200-year-old skeletal remains of three individuals. As they were conducting excavations during the summer of 2017, traces of human bones emerged as they dug within a stratum that evidenced a fiery destruction. They were articulated skeletons. The archaeologists could see that one of them, an adult, whose remains were badly decomposed and burned, was lying with hands over the head. The bones of a child, whose remains were also burned and badly decomposed, were also found. And finally, as they were closing down the season, they found the remains of yet a third individual, an adult, whose bones were significantly better preserved. 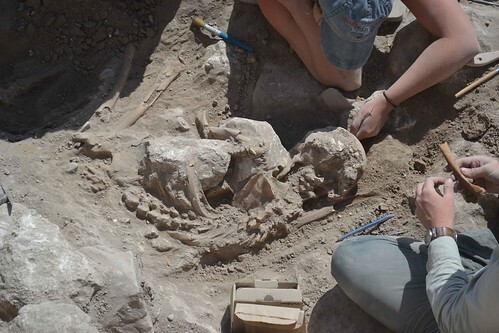 This person, it appeared, was lying in a fetal-like position, as if to defend against the falling debris of surrounding collapsing walls, the stones and mud-brick of which still lay atop the skeleton when archaeologists encountered it. The physical circumstances of the remains clearly suggested that these were not intended burials. Who were they and what happened in this place over 3,000 years ago? According to co-directors Dr. Steven Ortiz of the Tandy Institute for Archaeology and Dr. Sam Wolff of the Israel Antiquities Authority and colleagues, they were likely inhabitants of the city, likely Canaanite at this time, that fell in a conflagration during the onslaught of Egyptian armed forces under Pharaoh Merenptah, ancient Egypt’s famous fourth ruler during the Nineteenth Dynasty. 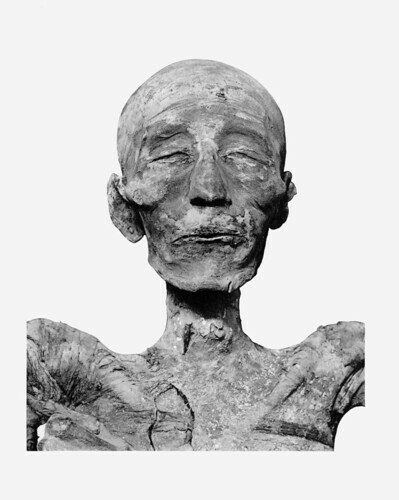 Merenptah is known to have undertaken several major military campaigns, at least one of which took his army into what was ancient Canaan during the 13th century B.C. The “nine bows” is a term the Egyptians used to refer to their enemies; the actual enemies varied according to time and circumstance. 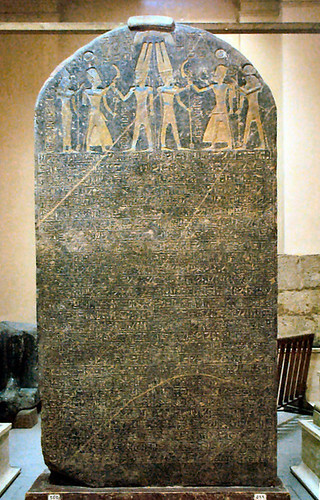 Hatti and Ḫurru are Syro-Palestine, Canaan and Israel are smaller units, and Ashkelon, Gezer and Yanoam are cities within the region; according to the stele, all these entities fell under the rule of the Egyptian empire at that time. The discovery capped off ten years of excavations which, though focused primarily on Iron Age period occupations that evidenced structures and artifacts from the time of the biblical account’s United Monarchy of Israel and the reigns of later Judahite kings, also yielded finds attributable to Late Bronze Age occupation, a critical time period in the ancient Mediterranean and Middle East. A summary report of the excavation project’s ten years of work are published in the Spring 2018 Issue of Popular Archaeology Magazine, to be released in March.